An American who survived the 9/11 terror attack has been identified as one of at least 14 people killed in the terror attack at 14 Riverside Drive, Nairobi. 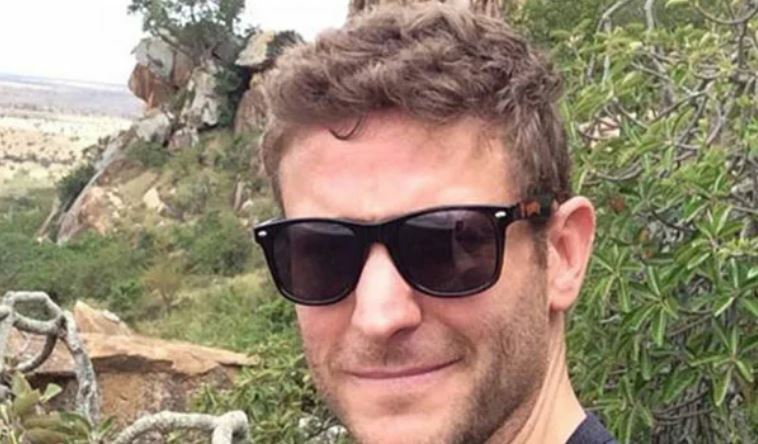 Jason Spindler, the global managing director of I-DEV International who was based in the Kenyan capital, was killed in Tuesday’s attack according to his family and officials in Kenya. Jonathan Spindler, Jason’s brother, announced the family’s tragic loss via Facebook. The San Francisco-based company I-DEV International confirmed Spindler was killed, and nine others in its Nairobi office safely evacuated. According to colleagues, Spindler was having lunch at the upmarket Dusit D2 hotel complex in Nairobi when the attack happened. The Metta Africa head of community, memberships, and operations Essie Mwikali said there were 45 people at the space when the attack happened. The Kenya Tech community, friends, and colleagues of Jason Spindler have been sending their condolence messages on Twitter. We are all safe from @WeAreMettaNBO we had around 45 people at the space Unfortunately we lost one, our dear Jason Spindler, CEO, I-Dev based at Mettā.🙏🏾 We are still trying to recover mentally. I’m at home with Family and friends. Will update on the state of Mettā in due time. Thoughts and prayers with the spindler family and the idev team. Jason was incredibly passionate and had a deep love for #Kenya and #africa. It was an honor to know him. 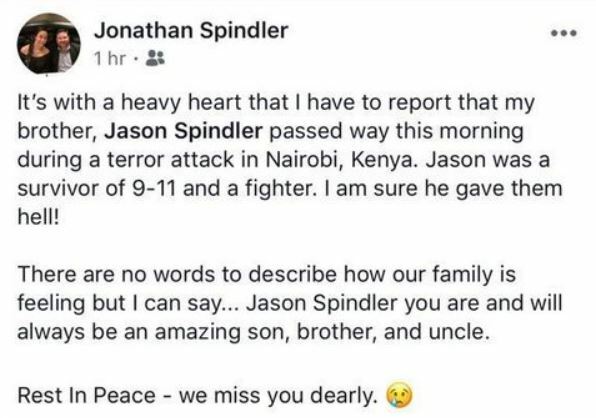 We are devastated to hear about the loss of @JasonSpindler in Nairobi. A man who was pushing boundaries and driving progress with I-Dev and simply a great guy, with a big smile. Our deepest sympathies to his family, friends and colleagues. Rest In Peace. We have had the privilege of working closely with @Jason_Spindler team at I-DEV on rural electrification in Kenya. Rest in peace Jason Spindler, you loved the world, may all those whom you touched in this world never forget you!